Come visit LivWell’s Evans location! Conveniently located at W. Evans and S. Vallejo at 2193 W. Evans Ave. Denver, CO. 80223. 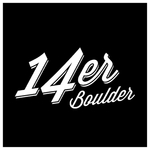 Our prime location allows us to cover all of South Denver’s Recreational Marijuana needs! 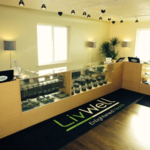 Our shelves are stocked with the best LivWell has to offer! We have a great selection of flowers, edibles and BHO waxes! We offer high quality, indoor grown cannabis and even better customer service. Our budtender’s here at Evan’s have already made a reputation for themselves of being knowledgeable and considerate of each patient’s individual needs. The dispensary itself is warm and very welcoming to all patients. When we combine great cannabis with even better customer service, it creates the perfect location on W. Evans to pick up your meds! Make sure to come see us at LivWell Evans! $99 ounces (select strains) for members. Limit 1.